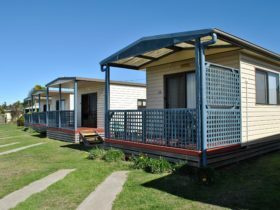 Swansea Beach Chalets are located on Jubilee Beach in historic east coast township of Swansea. 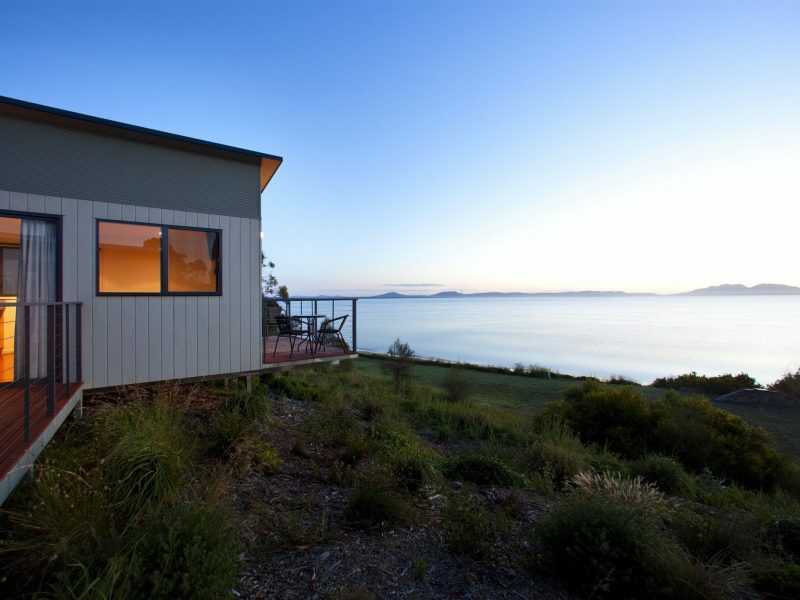 You will enjoy spectacular views of the Freycinet National Park across Great Oyster Bay. The Chalets have been sited to ensure breathtaking views overlooking a sheltered swimming beach. The chalets are fully self-contained with two bedrooms providing comfortable accommodation for four. All chalets have an outdoor living space on a balcony promoting a casual beachside holiday atmosphere. 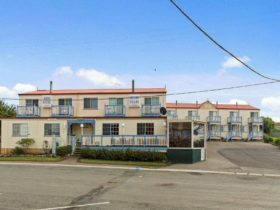 Similarly, the property offers several studios which are fully self-contained open planned one bedroom cabins with balcony, providing all the comforts of home and some. The property offers a seasonal outdoor swimming pool, communal barbecue pavilion and children’s playground.. Stroll down to the beach to relax or participate in various water activities. 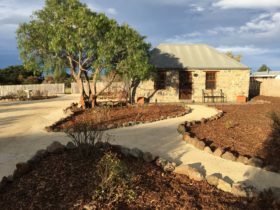 The Swansea township is a short beach walk from the property or head off in the other direction for 15 kilometre or so of unrestricted beach frontage leading to the Freycinet Peninsula. 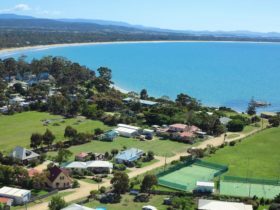 Swansea is a central location on the East Coast of Tasmania to explore other towns and attractions including National Parks. 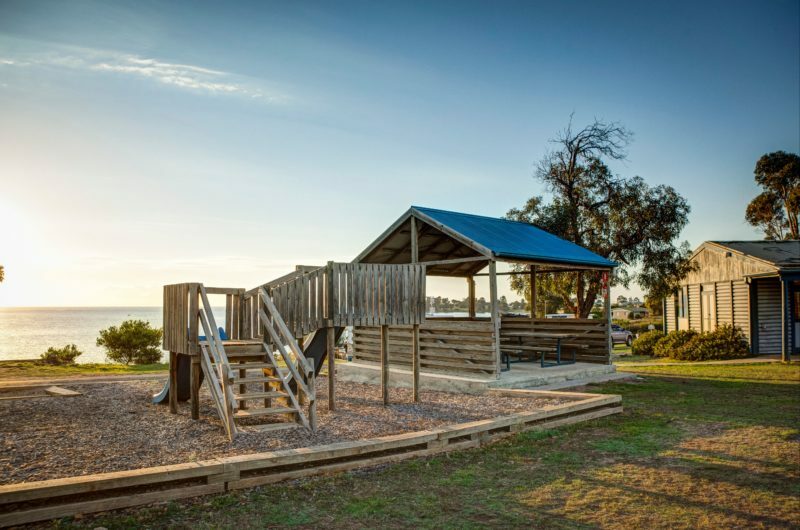 Waterfront Chalets: Be captivated by the spectacular views over Great Oyster Bay from our Waterfront Chalets overlooking private beach frontage from the living room or private balcony. Modern 2 bedroom waterfront chalet with self contained facilities. 1 Bedroom features a Queen and the second two singles. Chalets: The Chalet is located in a sheltered position and some have partial coastal views. Self contained 2 bedroom Chalet with queen bed in first room and 2 singles in second together with shared bathroom and central living area opening onto a large balcony. 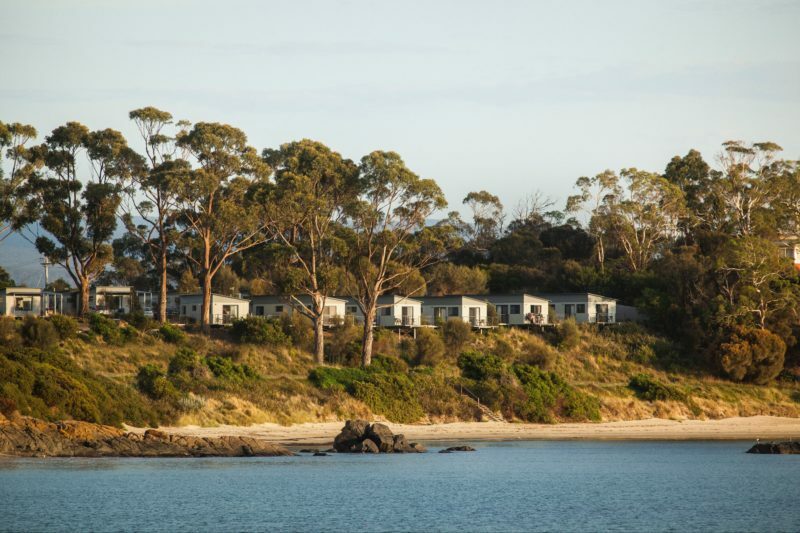 A short walk takes you to private beach frontage and spectacular views of the Freycinet Peninsula. Studio Chalets: The Self contained studio chalet features a queen size bed and separate living spaces both inside and outside. 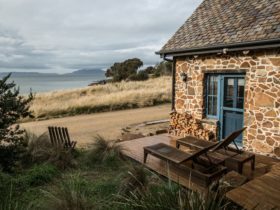 Enjoy some partial views from most chalets over the bay to the Freycinet Peninsula. A short walk takes you to private beach frontage and unobstructed views over Great Oyster Bay.